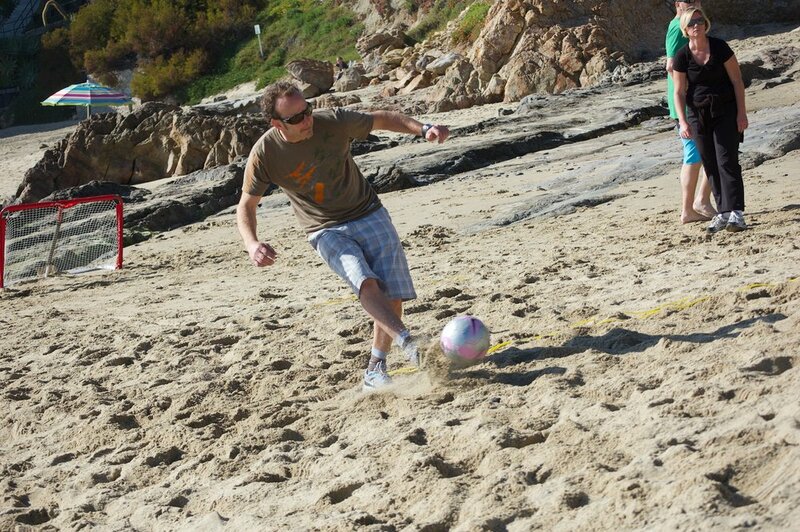 La Vida Laguna’s Beach soccer games are great team building fun, especially for an international group. Get a quick estimate today! The futbol crazy country of Brazil invented a smaller more informal version called Beach soccer. The field and goals are shrunk, less players are on pitch, and there are unlimited substitutions. Great fun for an international group.